Technological advancements have affected the gynecological device market across the United States. Furthermore, the assisted reproductive technology (ART) segment of this market has exhibited some of the most significant growth that this market has to offer. For instance, of the 3 million gynecological procedures performed in 2018, almost 600,000 consisted of assisted reproduction procedures—an increase from the previous year. As technologies used in gynecological procedures become more refined, the average selling price will be driven upwards, since hospitals generally require more high-end devices with better technological advancements and amenities. The freeze/thaw media segment is unique in that it is currently the only type of reproduction media that is experiencing positive growth in its average selling price. While this value is only increasing at approximately a 1% rate, this is still significant, as all other media segments’ selling prices are shrinking. Due to these increases in selling price, the freeze/thaw media is currently the most rapidly growing segment in the entire assisted reproduction market. While this market encapsulates both traditional cryopreservation, as well as vitrification media, the latter category is causing the majority of the growth in this segment. With the ever-evolving culture in the United States, the age of conception has shifted in tandem. For a variety of societal and economic reasons, the age of conception has risen drastically over the past few decades. In fact, the average age of conception was 21.4 years in 1970. As of 2015, the average age had risen to 26. As couples get older, their fecundity often decreases, thus increasing the need for the use of assisted reproductive technologies. Additionally, improving technology has made assisted reproductive technology an attractive option in recent years. 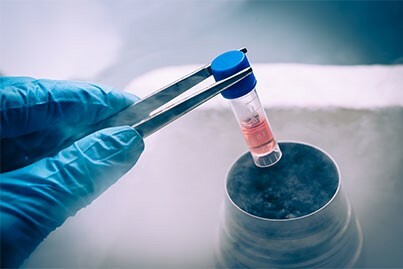 Particularly in the cryopreservation industry, there is a technological shift occurring from slow freezing to vitrification, which is said to achieve more consistent results. As noted in the freeze/thaw media analysis, this method is also more expensive, which will increase the value of the market. More on assisted reproductive technology statistics can be found in a series of reports published by iData Research entitled the U.S. Market Report Suite for Gynecological Devices.